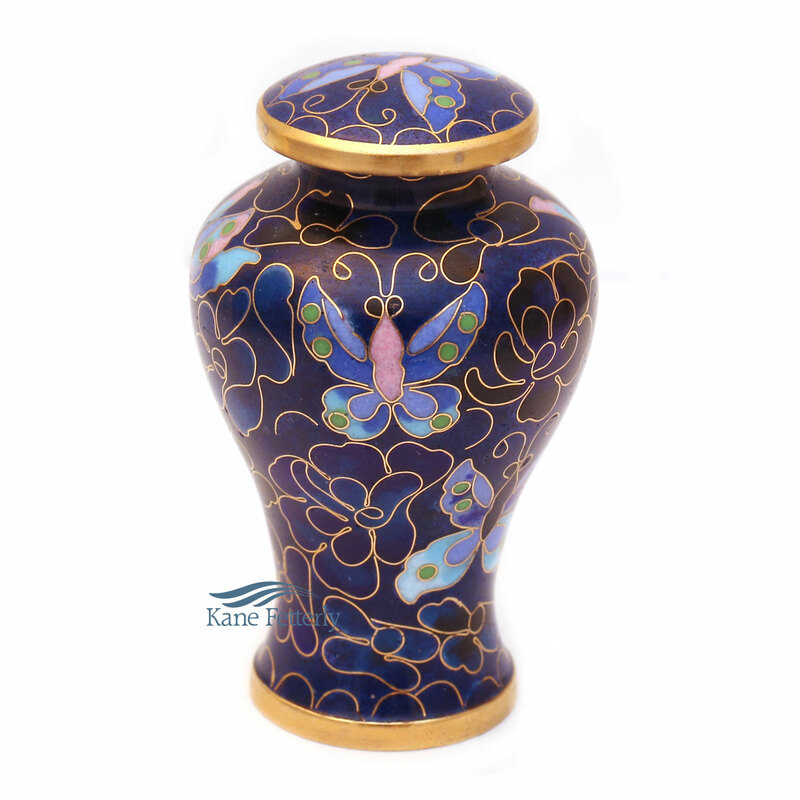 Cloisonné miniature urn featuring blue and violet butterflies on a rich black and blue enamel background. Gold bands around the lid and the base enhance this miniature urn. Also available as full-size urn and miniature heart urn.